Are these the NDP’s pick for elections? An unconfirmed list of candidates who reportedly and potentially will contest the upcoming general elections on the National Democratic Party (NDP) ticket is being circulated on local social media. According to the said list, the NDP is reportedly putting Shaina Smith as their returning candidate to vie for the First District seat, which is currently held by Opposition Leader Andrew Fahie. Melvin ‘Mitch’ Turnbull reportedly will be seeking his second consecutive term as the representative for Second Electoral District, the list showed. Michael Thomas of CTL Home Centre in Fish Bay is said to be the party’s pick for the Third District. Meanwhile, Deputy General Manager of the BVI Electricity Corporation, Henry Creque has been listed as the man who will replace government minister Mark Vanterpool as the NDP’s candidate for the Fourth District. High-school principal, Sandy Underhill is reportedly the NDP’s frontrunner for the Fifth District, a position currently held by government minister, Delores Christopher. Sixth District Representative Alvera Maduro Caines reportedly will be seeking re-election while Brodrick Penn, who served as Permanent Secretary in the Premier’s Office, will have a go at the Seventh District — a seat currently held by Deputy Premier and NDP loyal, Dr Kedrick Pickering. Marlon Penn and Dr Hubert O’Neal reportedly will be moving to re-take their seats in the Eighth and Ninth districts, respectively, the list said. As for the NDP’s reported picks for the Territorial At-Large seats, that group will comprise party chairman Myron Walwyn, festival boss Trefor Grant, House of Assembly speaker Ingrid Moses-Scatliffe, as well as one Janice Archer. Though the list started circulating this week, NDP officials have made no official announcement about their election candidates. When BVI News contacted party chairman Walwyn on Friday, he maintained that his party will make an announcement at the appropriate time. He did not venture to confirm whether part or all of the list is true. The further we keep Walwyn from being the Premier the better for the BVI. The guy is too much about himself. A person without bvi parentage will/should never be premier of these islands. Let’s see how you and your possee is going to do that. You know what? never mind, when he becomes Premier, you and the rest will just have to deal with it/or get over it. It is not a good sign that so many elected NDP persons do not want to seek re-election under Myron’s leadership. No matter what excuse they give it is clear that something is wrong with this dude. For true because mark, doc smith, pickering, delores, archie, OJ and ronnie all missing in action. A new set of c—– to doctor the b—-? Lol @ blind man. Please get your eyes check quick blind man. Might just be three seats i.e. Mitch, Marlon and maybe Myron. look island people offsprings buddy! It makes me wonder who will they represent if they happen to win by a miracle? To your comment. If the virgin island bvi constitution 2007 had a clause like that. Saying current Caribbean Community citizenship holders cant run nor hold a sit in the HOA. Would we has the indigenous people feel better represented? I think we need to send the indigenous people to the HOA so when we review our constitution soon we get things in that sort. THEM ??????????????? WASTE AH TIME !!!!!!!!!!!!!! So will those civil servants take leave of absence within the specified time frame before elections to campaign? Also shocked to see a Stoutt running against th foundational party (VIP)! Seems more like the same bunch just dressed in different attire – not really down to earth persons. Frazer going wallop that one again for a 3rd time in the 3rd district. First of all…you disrespectful…who is “that one”? this is not a confirmed list…..did you read that part? Has there been any indication from Mr. Thomas that he is running for office again? How about we all just wait for the official list of candidates, instead of making asinine comments based on no verified or confirmed information. The VIP bloggers are running scared so out blogging against NDP! The VIP team will not touch the finalized NDP team, just wait for it and see. @Jokes, LOL, VIP is running SCURDDDDD for real. Hey, this new NDP team is the new power house team. Ingrid would have my vote but she aint the same ingrid from first caribbean. She’s different person. I—– is the same person from FCIB. Self, c——— and sometimeish. — convienced us to s—— against the bank and then leave us high and dry when — got her p——-. Further to this post above, which is the only one so far that articulated a complete and reasonable thought.This. It is almost irrelevant who the candidates are because from the comments left here, it appears that voting for the voters is not about Platform or merit or potential to do the job, but about your own personal feelings towards these individuals. Really? Let me tell you how this does not work. A racist bias bigoted chauvinistic pig appealed to the feelings of other racist biased bigoted chauvinistic pigs who were just waiting for someone to understand their “feelings” of supposed dis-infringement by all the blue, black, brown, yellow and purple people, so they voted him into the highest seat of power in the known World and we have all been made the better for it. NOT!!!!!!!! But its all about the feelings you know….lets go with that….maybe we will get a good prize from the surprise crappy lucky dip. yeah? ok.
if it is about feelings, u sound so bitter and angry. cool down and campaign for your candidate, and let the leader with the most votes win! @Excellent Choices, I second that. The right people, the right choice.Myron picked the right people.Everyone on the NDP ticket have myself and my family support 100%.And I have a big family.No matter what they say, Myron will be ssitting in the Premier’s chair.Win or lose, I will still support NDP. Shaina can’t defeat Andrew at all. Shaina needs to run at large.Ingrid has my vote. You all know NOBODY like B——. Where is the member for the eight? National D————l Party. All dead horses with baggages loooaaads. Keep up the island people talk. A lot of Belongers waiting PATIENTLY for VIP people to come seeking their support at the polls, KEEP IT UP! Please don’t be fooled by these pretenders blogging about “Island people”. This is an NDP ploy by NDP bloggers to sway these votes to them – to make it look like BVI people and theVIP against people from other islands. It’s sickening and what is more sickening is these few repeat bloggers trying to start war. 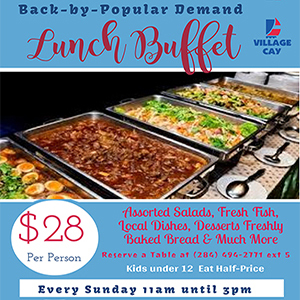 BVI people have always embraced people from other islands. As a matter of fact we do a better job of this than most Caribbean islands and we have married a lot of them too. In other islands you are treated good as a tourist but try to settle and get a job etc – it’s that countries nationals first. Real talk. When the Syrians dem start to run I guess a different tune will be singing… the indigenous ppl of this country have given away there children rights by birthing them in the us… look u see the Syrians having there children here them putting themselves up for the long haul…. WTF are you talking about. There arent any Syrians in the BVI! Who do you know here in the BVI from Syria? We have Lebanese and Palestinians living here not Syrians. Smfh! Anyway, game on among the combatants, ie, the new NDP, VIP, UP, PUP, PEP, CCM, independents…….etc. Is it going to be the same old song and dance or something new? No doubt a new song and dance is needed, for too much time and opportunity was wasted. The principal for eshs need to stay at her current job. She is doing a good job there. Guys if she leave, the ESHS gone to dogs. What happen if she dead? Stop talking crap. Hubert should be an easy vote out…what has he done for the 9th district in 8 years? It is sad to see the racial, prejudicial, ‘Uncle Tom”opinions of some BVIanders about CARICOM/Island people. The demographics of the BVI are changing and what you are saying about belongers will just ACT as the catalyst to determine this election. Projections: Like it or not, Myron is going to be the next premier of this country. Get with the times and the changes. Why all you hate the man so fah? Your bigotry is just destroying this country. For God’s sake go sit dung! We are not a full member of the Caricom. If we were a full member we would be fully over run more than we already are as it relates to immigration and labour. People are only here because of the legal tender which is the US dollar. Not like people here because they LOVE the BVI. Look at the behaviour of work permit holders after last year hurricanes with the looting! 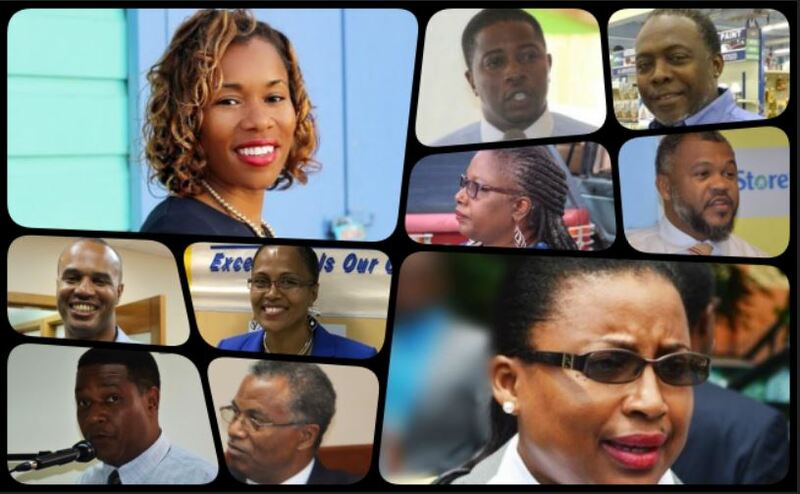 I voting for candidates who have direct lineage to the BVI!!! Well well,this is the plan ,we dont want NDP they have there share and time,let’s bring back VIP.We need a change of government, Myron I do work with you many years ago,you are a good person, but I strongly believe that Pickering, Ronnie ,Archie that crew they setting you up. Next I am very happy to see the big changes with Belongers showing great interest in this little BVI.